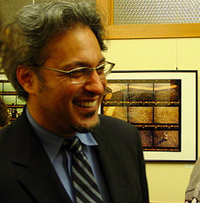 Supervisor Ross Mirkarimi’s legislation giving descendants of those displaced by the San Francisco Redevelopment Agency from the Western Addition priority in obtaining affordable housing, passed the Land Use Committee and will go before the Board of Supervisors on September 9. The legislation is nicely timed – though not intentionally – with the African American Out-migration Task Force’s report that San Francisco’s black population has dropped faster than any other large U.S. city. While many of those displaced from the Western Addition in the 1960s were Japanese, two-thirds were African American. The legislation would give priority both to the children and grandchildren of those displaced and would entitle them to certificates of preferences that would put them at the front of the line for the city’s affordable housing lottery. The certificates of preference apply to all affordable housing in San Francisco including both non-profit projects and for-profit inclusionary units. Approximately 5,000 certificates of preferences were distributed to homeowners and tenants in the Western Addition during the displacement of the 1960s. Only 25 percent of those have been redeemed. According to Fred Blackwell, Executive Director of the Redevelopment Agency, most of the certificate of preference info wasn’t well kept, but the agency is in the process of updating their database. They have hired a firm to do record searches and will employ the use of community organizations to track down children and grandchildren of those who were displaced in the 1960s. They will also use a marketing campaign through word of mouth and the ethnic press to inform those potentially eligible for the program in both English and Japanese. Blackwell acknowledges, however, that having the Redevelopment Agency taking the lead on informing the public has its drawbacks. “Many of the people who would be eligible for the program don’t want to have anything to do with us,” he said. The descendants of persons on the site occupancy report, meaning those who lived in the household but were not related to the head of household, are also eligible for certificates of preference. Blackwell hesitated to give a firm number of those who could potentially be eligible, but arrived at a figure of 96,000. However, he stressed that the large number is only those potentially eligible, and standard qualifying criteria for receiving affordable housing – such as income levels – had not been taken into account. But as preferences extend further away from the head of household, the shakier the ground gets in terms of complying with federal fair housing law. Blackwell said that federal funds for affordable housing could possibly be rescinded if the city was found in violation of that law. Some also worry that the large number of people eligible for certificates of preference would crowd out all of those eligible to receive affordable housing, but who do not have certificates of preference. The Mayor’s Office of Housing (MOH) and the Redevelopment Agency are working together to put the legislation into practice. The MOH will be conducting targeted outreach to inform citizens as well as providing credit services and down payment assistance of up to $100,000 per person who applies. Because the source of revenue for the down payment assistance program comes from a parcel of land sold in the Western Addition, priority will be given to Western Addition certificate of preference holders.